Wow! To say that 2018 was exciting is an understatement! Not only did VIP grow in many ways, but so many great things happened for our team members! We are so proud of our team here at VIP, and over the past year several of our team members have had incredible opportunities in their careers and education, building on their time here. Two of our phenomenal researchers, Drs. Adriana Weisleder and Carolyn Cates, who both originally joined our team as postdoctoral fellows, have both recently accepted and started faculty positions! Dr. Weisleder is now an Assistant Professor at Northwestern University in the School of Communication, where she has recently opened and is directing the Child Language Lab within the Department of Communication Sciences and Disorders. Dr. Cates is now an Assistant Professor at SUNY Purchase in the Department of Psychology. We continue to work closely with Drs. 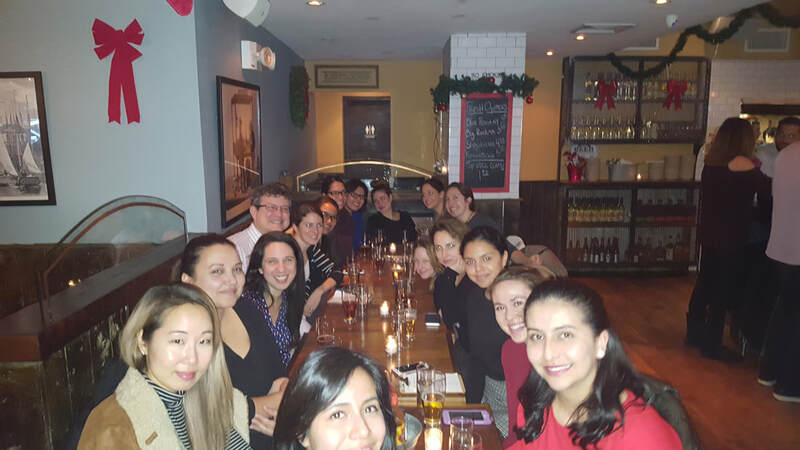 Weisleder and Cates, and are excited to collaborate in the upcoming year! In addition, many people on our team have been furthering their education. Jenny Arevalo started on our team in 2008 as a Research Assistant, and over the past 10 years has worked as a VIP Coach, Senior VIP Coach and VIP Trainer/Supervisor. Over the past several years, she has been pursuing a doctoral degree in School Psychology with a focus on Psychology of Bilingual Students, and is now focusing full time on her Ph.D. as she moves into the final years of her program in order to dedicate time to her dissertation and clinical training. Maritza Morales-Gracia, who started with our team as a Research Assistant for the Smart Beginnings project in 2016, began a doctoral program in education this fall at the University of California, Irvine with a focus on Human Development & Education Policy. We are thrilled for Jenny and Maritza and can’t wait to see their next steps! 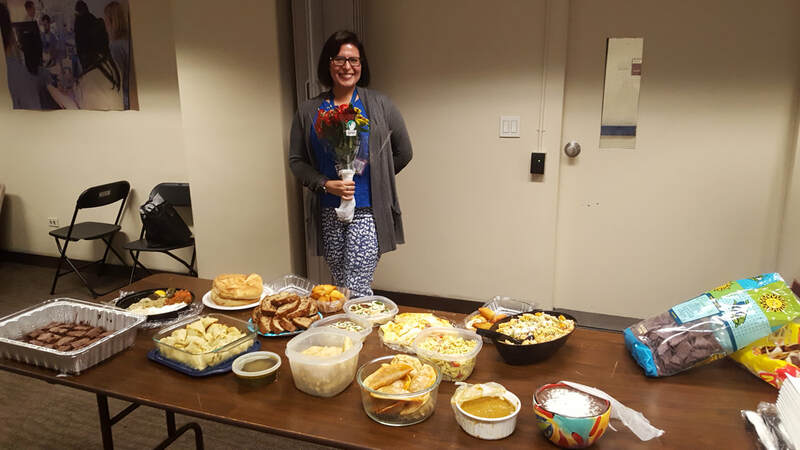 Adriana Chung, LCSW, has been working with us for the past several years as our outstanding Family Check-Up interventionist for the Smart Beginnings project. She recently has been given the incredible opportunity to work with our collaborators at the University of Pittsburgh to deliver Family Check-Up to families in Pittsburgh as well as serve as a trainer and supervisor for new Family Check-Up interventionists. We miss having her in New York City, but we continue to collaborate with her in her role as a trainer and supervisor! Finally, it would be remiss to not also mention some of the educational achievements that our team members have accomplished in their ‘spare’ time. Maya Matalon recently completed a Masters of Public Health at NYU, and Caroline Raak recently completed a Masters of Arts in Child Development from Sarah Lawrence University. Not only that, but Maya and Caroline were both able to build on the work that they are doing here for their masters theses! In addition, Jennifer Ledesma has been over the past several years working towards a doctoral degree in School-Clinical Child Psychology from Pace University, while continuing to work part time with our team, which has allowed her transition to a Family Check-Up interventionist. Maya, Caroline, and Jennifer each continue to utilize their education as they grow in their roles within our team. 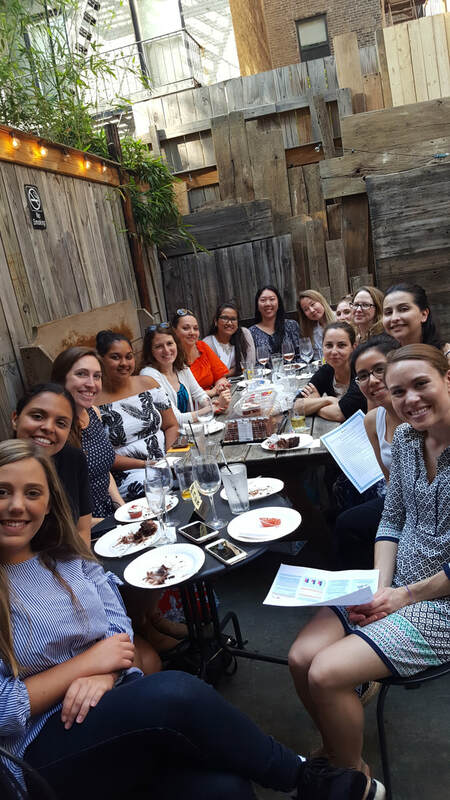 We are so incredibly proud of these accomplishments, and while we are sad to no longer get to see Adriana W., Carolyn, Jenny, Maritza, and Adriana C. every day in person, we are also incredibly proud and beyond thrilled for each of them as they move forward with their careers and educations. We continue to collaborate and work closely with them, and we know that huge things are in store for each of them in the future. Their accomplishments are a testament to the incredible work that they have done during their time on our team. Needless to say, this has been a busy year full of celebrations and send-off parties! VIP in the New York Times! Exciting news - recent findings about VIP were recently featured in a New York Times column by Dr. Perri Klass! Click here to read more! Lots of things have been happening here with Video Interaction Project! We have been steadily working on expanding to more locations so that VIP can reach more children in NYC and across the country. A few months ago, we VIP started up at Hurley Medical Center in Flint, Michigan – since then, 100 families have joined! Next up – we will be starting VIP soon at the Children’s Aid Society medical center in Harlem in NYC! More information coming soon!! This has been a busy and productive time, and we have also continued to be engaged in research about VIP and child development more broadly. This week, we published some of our strongest findings to date in the peer-reviewed scientific journal, Pediatrics! In this study, we looked at 450 children and parents who joined the study at NYC Health+Hospitals/ Bellevue as newborns and have been followed until they were four and a half years old, right before they were about to start school. Some children in this study took part in VIP as babies, from when they were newborns until they turned three years old (‘VIP 0-3’). Other children took part in VIP instead when they were preschool aged, from when they were three years old until four and a half (‘VIP 3-5’). Still others participated in VIP the entire time, from when they were newborns up through preschool when they were four and half. Finally, there were other children who did not participate in VIP at all. At age four and a half, children who had been in VIP showed reductions in behaviors that could become problematic when the children start school – for example, attention problems, hyperactivity, and aggression. Impressively, these findings at four and a half years of age were present even for children who took part in VIP only when they were babies and then stopped when they turned three, meaning that the changes in behavior lasted for at least a year and a half after the program ended! Also, children who started VIP when they were babies and continued as preschoolers had the largest reductions in problematic behaviors – both VIP 0-3 and VIP 3-5 separately contributed to these changes in behavior. Take home message? VIP during infancy or during preschool years helps to reduce problematic behaviors before kids start school, with even larger benefits seen for kids in VIP from infancy through preschool! Want to know more? Learn about our research here! Or check out this clip of Dr. Alan Mendelsohn on NYC's CBS Evening News! As we know at VIP, the crisis in Flint has to do with so much more than water. In a recent article on the Hill, world-renowned developmental psychologist, Dr. Sandra Waxman, discusses how important and valuable it is to have high-quality early-childhood programs available to families in under-served communities like Flint. As she says, the most effective programs are ones that, like VIP, begin early and involve coordinated and integrated support. 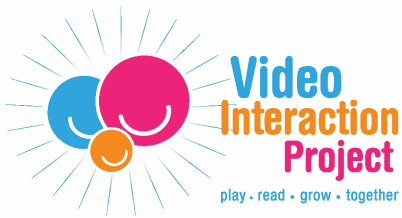 Through VIP, pediatric clinics help to provide parents with support and guidance beginning shortly after birth, and though the integrated City's First Readers network, VIP families become even more connected to other literacy resources in their communities. Yesterday, Drs. 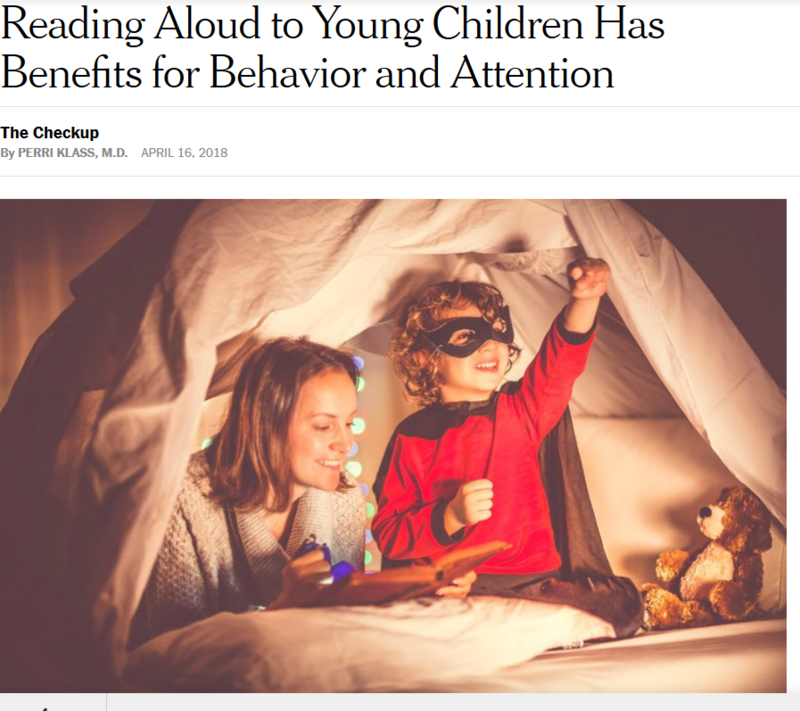 Adriana Weisleder and Alan Mendelsohn and team published a study about the benefits of VIP on socioemotional development in low-income toddlers. AAP Endorsement of City's First Readers! The American Academy of Pediatrics has officially endorsed City's First Readers! VIP is excited to announce that we are one of 8 partner programs in a new city-wide early literacy initiative: City's First Readers. City's First Readers brings together early literacy programs from different settings across the city: heathcare (VIP and Reach Out and Read), the community (Literacy Inc., New York Public Library, Brooklyn Public Library, and Queens Public Library), home visitation (Parent Child Home Program), and early child education (JumpStart). This $1.5 million New York City Council initiative began in July 2014 and was spearheaded by Council Members Stephen Levin and Antonio Reynoso.